Checking in: During automated purchase process with EZTIX booking system, you must review all booking details. Arriving late: Please note that tour guides are not allowed to wait for guests arriving late. 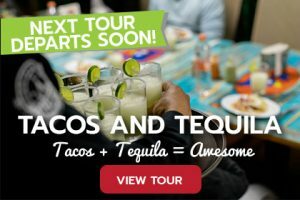 Please make sure to make the necessary arrangements to arrive at least 15 minutes prior to the tour. We are on a schedule with all the venues we visit. Also note that we are not able to take your phone calls if you are running late as we are not allowed to interrupt the tour guide once the tour started. 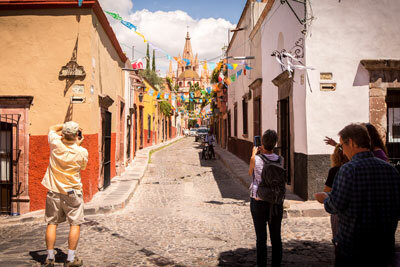 Weather Conditions: We conduct tours rain or shine, including hot and humid weather. If you have purchased a ticket and decided you do not want to continue with the tour, you will not be reimbursed for the ticket price. You are responsible for yourself and your own safety. 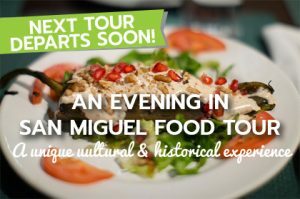 Taste of San Miguel Tours’ Cancellation: Once in a while we are forced to cancel our food tours as we depend on third parties to accommodate our guests. 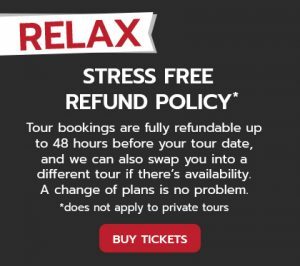 If we need to cancel a tour, full ticket price will be refunded back your account. Dietary restrictions. 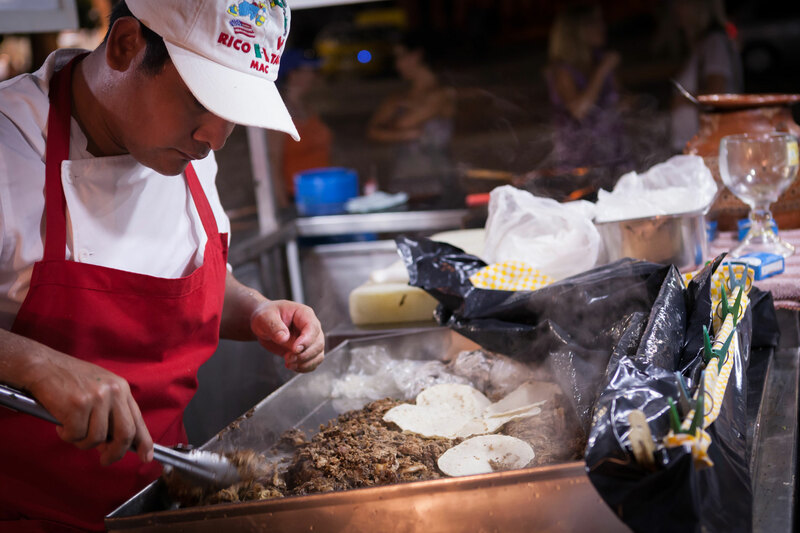 In some cases we are able to accommodate food allergies or restrictions. 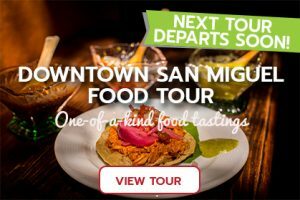 Please note: you are responsible for letting Taste of San Miguel Food Tours know at the time of purchase or in advance if you have any dietary restrictions. 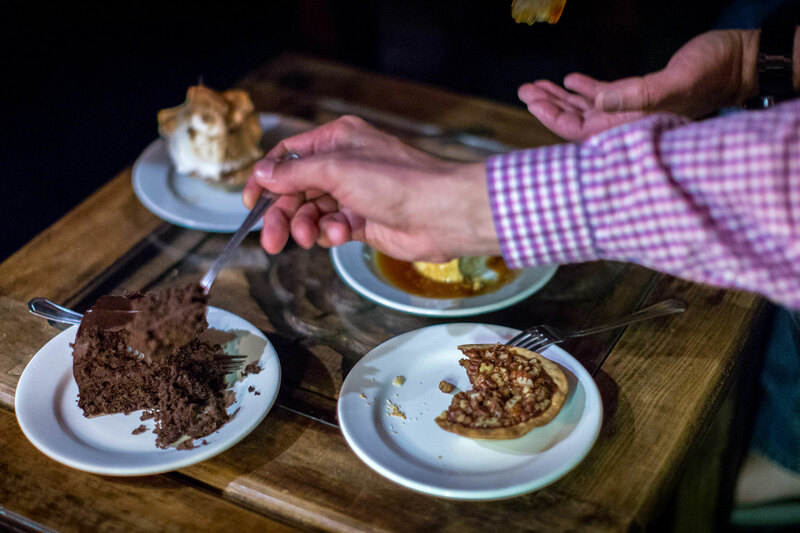 If a substitution is not available for that particular tasting item, you agree that you acknowledge and understand and that it is your personal consent to try them or not. Please refer to WAIVER AND RELEASE OF CLAIMS that you must accept during the ticket purchasing process. 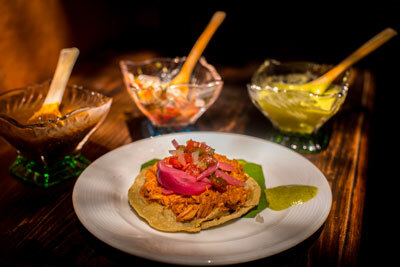 Taste of San Miguel Food Tours is not responsible for the foods or beverages consumed on its tours. 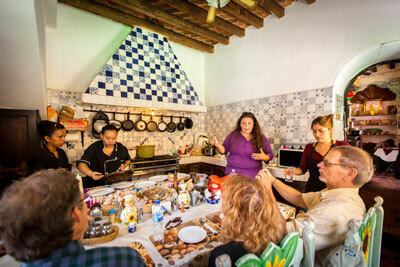 Taste of San Miguel Food Tours acts solely as agent in arranging tours, venue visits and other services and does not assume liability for accidents, delays, injuries, loss or damage due to any act or default of any company, organization or person engaged in transporting passengers, rendering service, or carrying out arrangements for any tour or by the act of default of any restaurant or shop or its employees. Please refer to WAIVER AND RELEASE OF CLAIMS that you must accept during the ticket purchasing process. 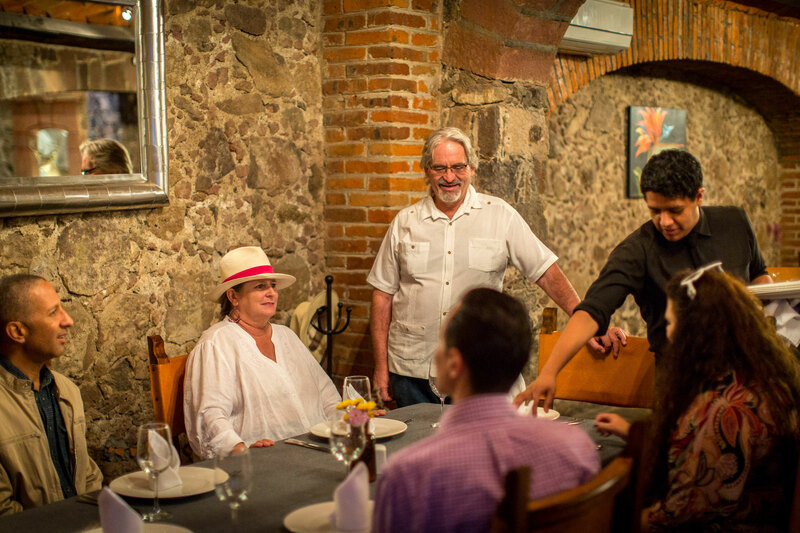 Right to Distribute Media: You agree to grant the Company an irrevocable royalty-free worldwide license to use photos and videos taken on its food tours in which you may appear. The Company has the right to reproduce, distribute, broadcast, exhibit, edit, digitize or in any other way use the Material by any means and in any form of media, whether existing now or created later, without restriction worldwide, by incorporating the Material into its website, catalogues, books, brochures, magazines or any other publications, or any informational, commercial, promotional or advertising material (henceforth known collectively as the “Works”). You agree that the company is and shall be the exclusive owner of all title, rights and interest in the Material and the Works, including copyright thereof.